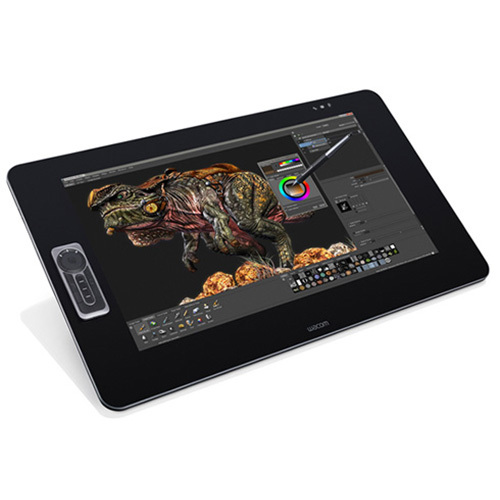 LAS VEGAS - Wacom is ramping up its professional graphics tablet game yet again with its brand new Cintiq 27QHD and27QHD touch tablets. Both were introduced at CES 2015 on Tuesday with 2560 x 1140 27-inch built-in display surfaces sporting over 1 billion colors covering 97 percent of Adobe's color gamut. The new Qintiqs support 2048 pressure sensitivity levels and multiple stylus nibs, too. The 27QHD is priced at US$2,299.99. The 27QHD touch, which adds support for touch-based gestures, costs $2,799.99. Both will ship before the end of the month.